Published: Jan. 1, 2017 at 05:13 p.m.
New York Giants running back Rashad Jennings runs in 2-yard TD. Published: Dec. 4, 2016 at 06:34 p.m.
New York Giants running back Rashad Jennings pulls in short pass and runs for a 13-yard touchdown. 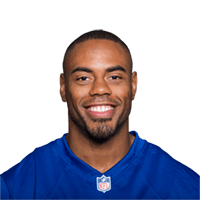 Published: Nov. 20, 2016 at 02:05 p.m.
New York Giants running back Rashad Jennings breaks though for 21 yards. Published: Nov. 20, 2016 at 01:37 p.m.
New York Giants running back Rashad Jennings rushes for a 2-yard touchdown.